Whether you’re a Brisbane local or a tourist unearthing Brisbane’s hidden treasures, you’ll be captivated by the intriguing imagery and prose captured in the new edition of Changing Places Brisbane. This delightful publication provides an interesting ramble through some of Brisbane’s most historic streets and backyards. It records changes taking place in the city as the picturesque old domestic architecture gives way to new developments. 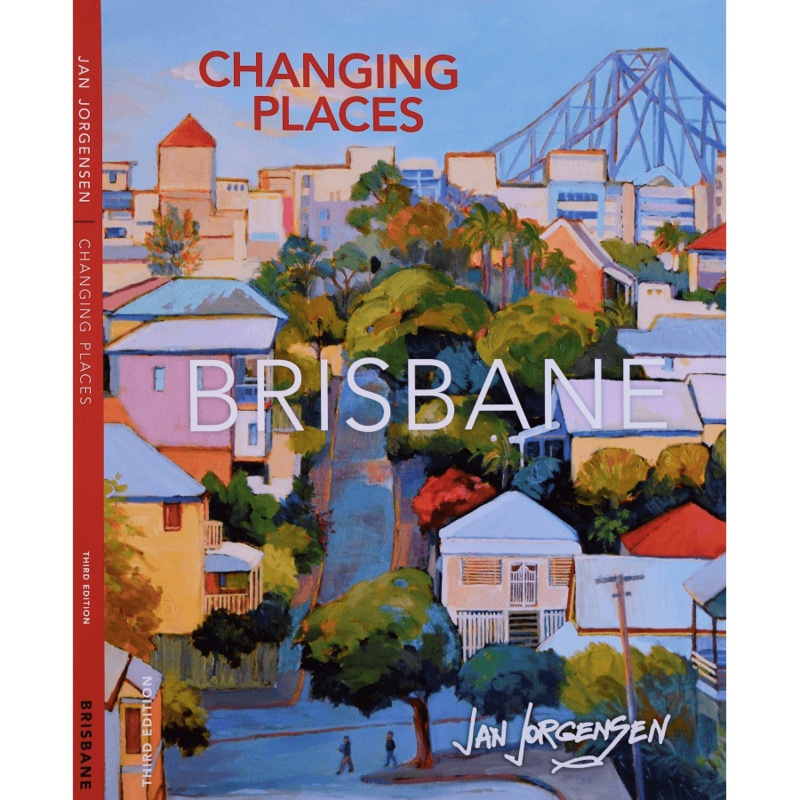 Jan’s paintings convey restoration and transformation, always reflecting the angled colour, intense shadows and amazing rooftops of Brisbane. This is the third edition of Changing Places Brisbane, with 96 pages of verse and 54 images of paintings drawn from recent exhibitions. The perfect personal or corporate gift. Visitors will find it an irresistible memento of their time spent in Brisbane. Locals will appreciate the changing faces of the city and the familiar urban environment.